Power Steering Diagnostic, Repair and Replacement Service; Steering Wheel, Steering Column, Intermediate Shaft, Power Steering Pump, Power Steering Hoses, Power Steering Reservoir, Rack and Pinion, Steering Gear Box, Pitman Arm, Center Link, Idler Arm, Inner Tie Rod, Outer Tie Rod Replacement and Repair in MA, IR, Attleboro, Mansfield, North Attleboro, Plainville, Cumberland, Pawtucket. 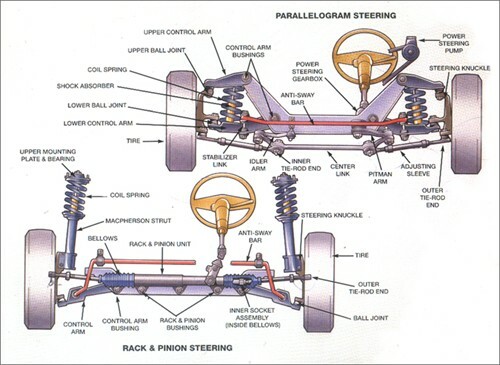 The steering system is the collection of components and linkages that allow a car to follow the desired direction. The power-assisted steering system allows a driver to use light force to steer a heavy car. There are two main styles of steering systems; rack and pinion and worm gear box. Power-assisted steering is powered by the engine. 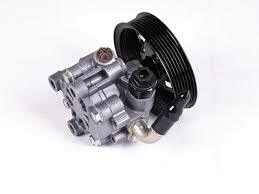 The engine drives a pump that supplies oil under high pressure to the rack and pinion or the steering box. Valves in the steering rack or box open whenever the driver turns the wheel, allowing oil into the cylinder. The force pushes a piston that helps to push the steering in the appropriate direction. Most manufacturers recommend having the hydraulic fluid in the power steering system changed every 60,000 miles. 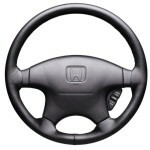 A steering wheel is a type of steering control in a vehicle that is the interface by which the driver manipulates the car. The rest of the steering system responds through a system of pivoted joints. The steering wheel can manipulate the steering system through direct mechanical contact or steering gears. Hydraulic power steering and Electric Power Steering can assyst a drriver to use a light force to steer a heavy vehicle. The steering column controls the vehicle’s steering by connecting the steering wheel to the steering mechanism. It runs under the driver side dashboard to the engine compartment where it attaches to the intermediate shaft on splines. 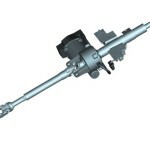 The steering column has a universal joint that allows it to pivot freely when turning. Also the ignition switch, turn signals, windshield wipers, cruise control and air bags are all on the steering column and sometimes even the gear selector. The intermediate shaft is used to connect the lower end of the steering column to the rack and pinion gear box. It has couplings on both ends that are jointed with a universal joint so its able to pivot. The Intermediate shaft slides a bit to allow for flexing of the car on roads and turns. A rack and pinion is a linear actuator made of a circular gear called the pinion that engages teeth on a linear gear bar called the rack to convert rotational motion into linear motion to turn the wheels. The pinion gear is attached to the steering shaft. When the steering wheel is turned, the rotation of the pinion causes the rack to move left and right relative to the pinion. At each end of the rack is a tie rod that connects to the steering knuckle to turn the wheels. 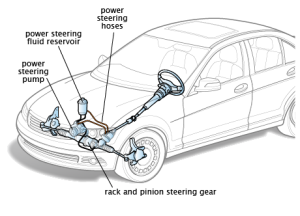 Rack and pinion steering has become the most common type of steering. 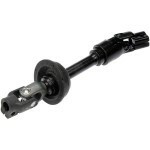 A tie rod is a slender structure that connects the steering system to the wheels. 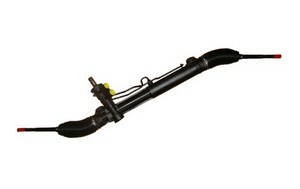 It ties the steering rack to the steering arm, the steering arm is attached to the wheel. 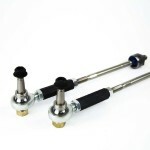 Tie rods transmit the force from the steering rack to the steering arm in order to move the wheel. Tie Rods ensure that the wheels are aligned, the outer tie rod end is adjustable, you can change the length to fix a vehicle’s alignment to keep the tires inner and outer edges from wearing out on the. A steering gearbox is a combination of steering gears, shafts, torsion bar and power piston inside of a cast iron housing. 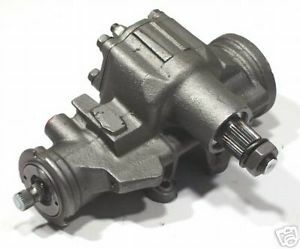 There are four built in lines that connect to the power steering reservoir, power steering pump, and two leading to the power steering lines. A rotary valve inside the gearbox senses pressure when the steering wheel is turned and relays the turns to the pitman arm via the sector shaft. 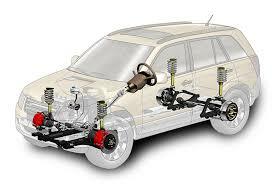 The steering gear box multiplies the driver’s steering so that the wheels move more than the steering wheel. Power steering enables the steering wheel to turn easier. The hydraulic power for the steering is provided by a rotary-vane pump that is driven by the car’s engine. When the steering wheel is turned, spinning retractable vanes inside the power steering pump pull hydraulic fluid from the return line at low pressure and force it into the steering gear applying the pressure needed to turn the wheels. 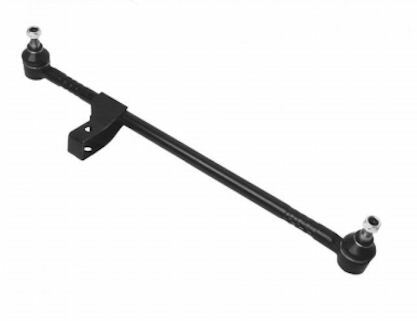 The Pitman arm is a part of parallelogram steering linkage, it is a linkage that converts the angular motion of the steering box sector shaft into the linear motion. When the sector shaft of the gearbox rotates, the pitman arm transmits the motion to the center link or drag link causing it to move left or right to turn the wheels. The Pitman arm was originally invented for the rail road, and made it’s way to the automobile. 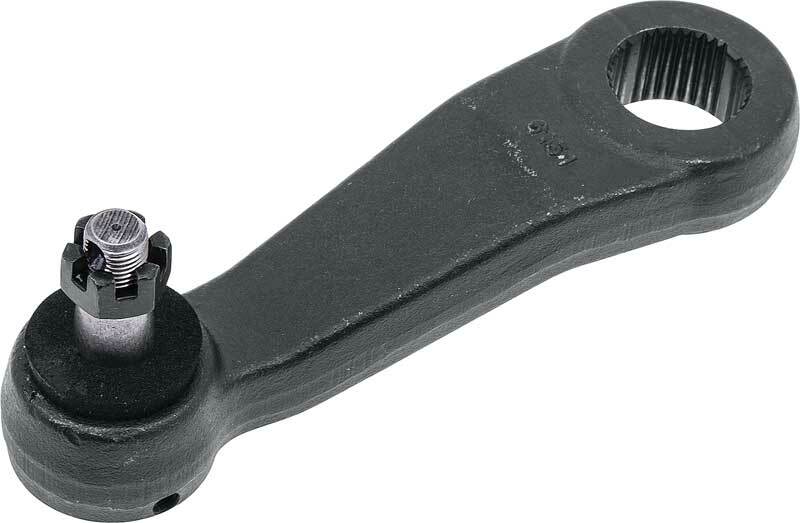 The center link also called a relay rod is a part of parallelogram steering linkage, it connects the pitman arm and idler arm. It is attached to the pitman arm with a tie rod on each wheel. The pitman arm pushes the center link, the center link pushes and pulls the tie rods causing the front wheels to turn left and right in unison together. 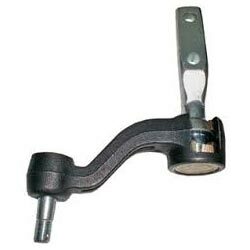 The idler arm is a part of parallelogram steering linkage, it is a pivoting support that is bolted to the vehicle’s frame and attached the center link. The Idler is linked to the center link on the generally on the passenger side, which is opposite side from the Pitman arm, it holds the center or drag link at the proper height helping to support the whole setup. Whether you’re looking to repair or replace a part of a steering system, Advanced Auto Repair offers quality power steering repair in North Attleborough MA. Full suspension and steering system repair including Steering Wheel, Steering Column, Intermediate Shaft, Power Steering Pump, Power Steering Hoses, Power Steering Reservoir, Rack and Pinion, Steering Gear Box, Pitman Arm, Center Link, Idler Arm, Inner Tie Rod, Outer Tie Rod repair and replacement. Our professional technicians can diagnose your cars steering responsiveness, noise and issue, and perform repairs, quickly and efficiently for a nice smooth ride at competitive affordable prices.